Can we trust modern-day seers? Should we listen when they predict the coming of Christ and the end of the world? And when their message doesn’t square with Scripture, what should we believe? Is there a prophet we can trust? Chuck Swindoll answers these questions and gives us a checklist of what we should look for in a trustworthy prophet. Can we trust modern-day seers? Should we listen when they predict the coming of Christ and the end of the world? And when their message doesn’t square with Scripture, what should we believe? Is there a prophet we can trust? 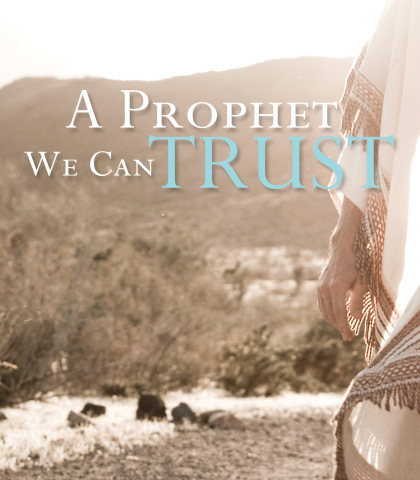 In this timely and timeless message, Chuck Swindoll answers these questions and gives us a checklist of what we should look for in a trustworthy prophet.